A Petrobras oil platform floats in the Atlantic Ocean near Guanabara Bay on July 3, 2015 in Rio de Janeiro, Brazil. The corruption scandal at beleaguered oil giant Petrobras will soon force the government to allow for full foreign control of Brazil’s lucrative deep-water oil fields. It’s not without irony that the sale of the century in Brazil involves a company caught in the crime of the century. But this isn’t merely a lesson in disaster capitalism. It’s more about pragmatism than a neoliberal privatization scheme. Still, when Brazil’s interim president, Michel Temer, signs a law allowing for full foreign control of new oil fields — and he will sign it — it won’t be without controversy. There will be protests. There might even be strikes. What the naysayers don’t realize is that the proposed changes are good for the country. They are even better for Petrobras, the state-run oil firm that’s eyeballs deep in debt and over its head in a corruption probe that’s made Brazil look like an old-school banana republic. Brazil’s lower house of congress has a bill that removes Petrobras’s obligation to take part in all offshore oil projects. That opens the door to foreign control of some of Brazil’s prized possessions. As of May 17, the bill is in Special Committee with the Defense Ministry regarding its impact on national security, of which there is none. The bill, written in the Senate in 2015 and passed by a wide margin in February, does not strip Petrobras of its assets. Nor is it a forced flea market sale. On the contrary. It removes the company from the obligation to participate in new so-called production sharing agreements run by the National Petroleum Agency, the government agency that auctions off the rights to Brazilian oil fields. Under existing law, Petrobras must be the lead operator and own 30 percent minimum of such fields. Stripping Petrobras of that burden opens the door to foreigners no longer forced to deal with a partner in dire straits. Foreigners (or “greedy imperialists,” depending on where you sit on this debate) will have the oil and gas they win at auction all to themselves. The law brings foreign capital back to a country in desperate need of it. The government benefits because it still gets royalties, fees, and tax revenue. The Workers’ Party government ran Petrobras into the ground, saddling it with a whopping $130 billion debt. It’s impossible to know how much of that debt went to rigged contracts, American real estate, and Swiss bank accounts, but PricewaterhouseCoopers has put the crime spree’s tab at $17 billion. No other publicly traded oil company in the world is this much in hock to lenders, which include both the Brazilian and Chinese governments and American pension funds from Massachusetts to Hawaii. This is stop-the-world-I-want-to-get-off time for Petrobras. It has an estimated 30 billion barrels of recoverable oil that will take at least 20 years to produce. It doesn’t need to take on more oil fields. As it is, the company recently announced a voluntary dismissal program that targets 12,000 employees over the next four years. If it wasn’t majority owned by the government, Petrobras would have defaulted by now. The last time the National Petroleum Agency put a deep-water field up for auction, in October 2015, Petrobras didn’t bother to participate. Brazil’s treasure, buried more than 6,000 feet under water, sand, and salt, will be locked up if Petrobras opts out. And if it’s forced in, it means more investment the company admits it can’t afford. So what are the implications? Development of the most important offshore oil prospects in the Americas will stagnate unless Brazil gives private companies rights to operate those oil blocs alone under production sharing deals. Or a miracle happens, and oil goes to $100 a barrel. 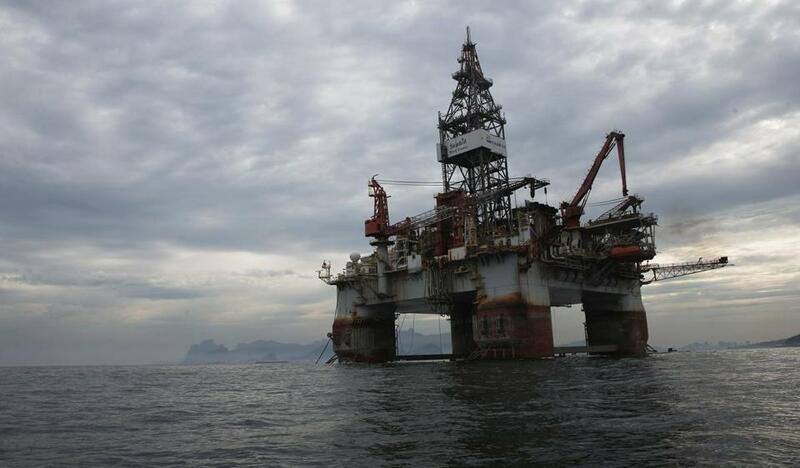 Petrobras’s deep-water discovery came in 2006. As a result, foreign direct investment went from $66 billion in 2006 to a record-breaking $101 billion in 2011. According to the Central Bank, those numbers are expected to fall to $55 billion this year, and $60 billion in 2017 and 2018. That’s the lowest in over 10 years. If oil markets opened more, that number would absolutely increase. For Big Oil, this law is sexier than a Carnaval party. When Senator Jose Serra wrote the bill, he cited the corruption scandal and debt as his inspiration. Serra is no fan of the now deposed Workers’ Party, and vice-versa. They beat him twice in presidential runs. But despite the fact that Rousseff’s most die-hard supporters will see a Serra conspiracy to hand oil to the Americans (they’ll conveniently ignore the Chinese), their arguments have no legs. “It’ll bankrupt Petrobras!” they say. No it won’t. It saves Petrobras from spending more money. Better yet, current law does not ban Petrobras from selling its stakes in existing deep-water oil wells, and that law was signed by the Workers’ Party. “The oil belongs to Brazil!” they’ll say. Sort of. Petrobras already exports oil. And the Brazilian government profits from those exports. And, lastly, nobody in Brazil is worried about Petrobras taking American oil in 13 Gulf of Mexico projects. Giving the private sector a greater share in Brazil’s oil wealth beats expecting deep sea to develop the country while ransacking the only company that was — and still is — responsible for it all. Kenneth Rapoza covers Brazil and other big emerging markets for Forbes Magazine. He was a Brazil-based staff reporter for Wall Street Journal/Dow Jones Newswires between 2004 and 2010.